I’d like to answer that question with some data from recent surveys that address how consumers use search and social networks in terms of small and local businesses. And I’ll make the point that, since consumers use search and social so differently, the answer to that question is BOTH! The 5th annual Local Search Study from 15 Miles, Localeze and comScore just came out last week and, as always, there’s a ton of data to digest. What kind of local business info do people SEARCH for? When people search online for local business information, they want the basics — phone number, address and hours. Those three things are way above the other types of information they could need — website URL, directions, etc. They’re also way above the social aspect, which is ratings and reviews. Search is primarily fact-based, not social/opinion-based. How many people search on social network sites? Not many. 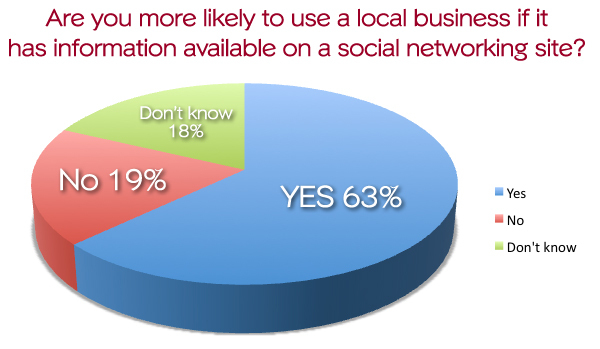 It’s a growing number, according to the Local Search Study, but as the image below shows, only 15 percent list social networks as either their first or second choice for searching local business info. BTW, of that group, 91 percent say they use Facebook to find local business info, 37 percent use Twitter, 25 percent use LinkedIn and 14 percent use Foursquare. 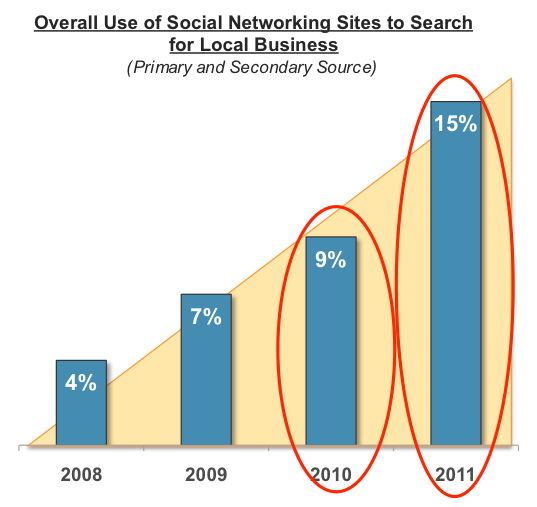 So… very few people use social networks to search for local businesses, and many of the ones that do are using Facebook. They probably have “liked” their favorite local businesses, and search for their Pages on Facebook to see if there are any deals or specials, or to find their address/phone number quickly (as shown above on the first chart). There was a Pew Research survey that recently made the same point: Very few consumers use social networks to search for local business information. Why are so few searches done on social networks? 1. Because social networks are not search engines. 2. Because habits are hard to break. If you’re searching for something, you go to a search engine, not the water cooler. Why is social media still important for small/local businesses? Because … brace for it … search isn’t everything. There. I said it. Look, local businesses absolutely need to know how to do SEO. They need to create vital content that Google and Bing love, and that attracts visitors. But search is mainly about discovery. After discovery, consumers want confirmation. And that’s where social comes in. The Local Search Study showed how social networks influence consumer business decisions: 63 percent of those surveyed are more likely to use a local business if it’s visible on a social networking site. That number is down a bit from last year survey, but it’s still a big driver of consumer decision-making. In the same study, 72 percent said they’re more likely to use a local business if one of their connections recommends it. The power of personal recommendation is strong, and that happens most successfully on social networks right now. You could go to Google and search for “jewelry store,” for example, but sometimes you’d rather have the recommendations of friends that are not based on SEO, but on real-life experience. I’m not suggesting local businesses have to throw all of their time and energy into social media. In fact, I’ve specifically suggested that Facebook and Twitter should not be your primary online asset. But I do think local businesses have to at least be visible and available on social networking sites — even if it’s just to reply to customers when they reach out. So, to the original question — “Should we be spending money/time on search or social media?” — the correct answer is BOTH! It’s not an either/or proposition. Search and social are so different that a successful online presence demands both. I find myself stumbing sometimes explaing to clients how search and social correlate and how to dedicate their resources to each. 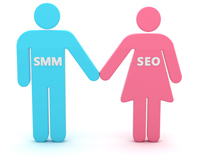 Your explination has clarified the simpliest way to explain search & social’s releatioship. Search is about discover and social is about confirmation. Brilliant! I’m going to use that. Gracias. Matt, this is just the post I was planning to write myself. Because small business tend to marginalize the Social search drastically, assuming that my client will find me physically/ via website. Social is for larger brands and global companies. Your post is perfect write up about whys it is essential even for small businesses to focus on the social aspect of the Internet. Great stuff. Social Media and Search Engine both go hand in hand. Ignoring any of them can be missing out on potential traffic and leads. I agree McGee (sorry couldn’t resist the rhyme). I’ve been experimenting with local marketing over the last year or two and social media seems to be a big part of it. I am more of an SEO/blog kind of guy but a lot of people I work with want to get more exposure through Facebook and other social media platforms. You are right that you shouldn’t spend ALL your time on social media, since websites and other normal marketing ideas still work. But if you are not utilizing social media, you are losing out on a lot of potential customers. Thanks for this Matt – extremely well written! Just the words Social Media are enough to turn me cold (turned off at an early age by the plethora of people prattling on about their toileting habits or whatever! ), but I can see the value when it’s broken down in this way. I agree. It’s important to spend time building and updating your social media presence. Nowadays, before customers buy to an online store or avail services from an online business, they tend to look for its business fan page or twitter page just to see the comments or recommendations of their customers or to find out what other people say to their business. So if you spend time managing your social media accounts, you can protect your brand, engage with your customers and encourage more people to believe in your business.